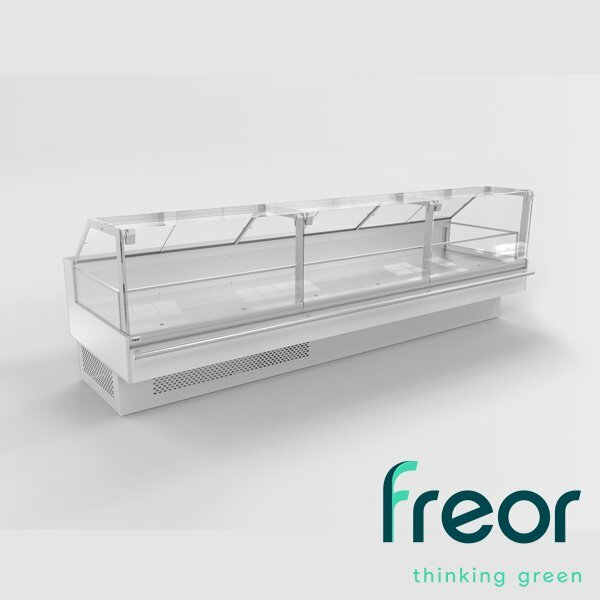 A cubic design serve-over counter for frozen meat, fish and packed products. Classic, simple lines and wide display surface makes it a great choice for any store format, be it a food market or supermarket. A multiplexible device looks unanimously when used with other VEGA QB range counters. Stable and reliable performance guarantee the perfect preservation of frozen food products. Galvanized steel display surfaces (any color of RAL pallet). Lift-up glass with gas springs.